What is the cure for my Amazon PPC woes?? What's the cure here to my PPC woes?? I have 4 products. 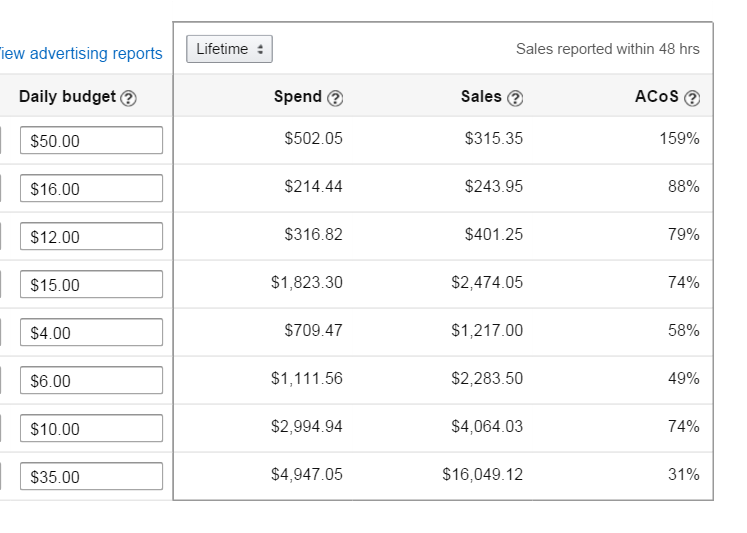 My very first product is the only one that does fairly well with Amazon PPC (31%). The others don't sell worth beans. All of these products convert well, many of them over 20%. I just can't get hardly any purchases over PPC at all. I've tried everything I can think of to fix this. Everything from creating brand new campaigns to pulling out the best keywords to broad vs. exact match, increasing or decreasing the list price and budget, so on. I don't seem to understand how I can have a product that averages a 20% or higher conversion rate but have such bad ACoS constantly. My main issue is the search terms that get the most impressions and clicks always have the worst ACoS. I attached a screenshot of my campaigns and ACoS here. The brand new Amazon PPC management software that takes PPC management to the next level.